Frequently Asked Questions about services for children. The purpose of adoption is to place children who have been permanently and legally separated from their birth parents with a new family. It is a social and legal process which gives new parent(s) the same rights and obligations as biological parents. A child day care program in Virginia refers to a regularly operating service arrangement for children where, during the absence of a parent or guardian, a person or organization has agreed to assume responsibility for the supervision, protection, and well-being of a child under the age of 13 for less than a twenty-four-hour period. The Virginia Child and Family Services Plan (CFSP) 2010-2014 is a 5-year strategic plan that sets forth the vision and goals to be accomplished to transform the Virginia's child welfare system. The Division of Child Support Enforcement (DCSE) is proud of the work we do helping the children of Virginia. Family engagement is one of the cornerstones of the Virginia Children's Services System Transformation, transforming Virginia's child welfare system. No longer are Virginia's social service agencies the sole decision makers for Virginia's children and families. Family engagement requires a shift from the belief that agencies alone know what is best for children and families to one that allows the family to fully participate in decision-making. The Virginia Department of Social Services Foster Care Program provides homes and compassionate foster parents for children who are removed from their homes due to abuse or neglect, or other family circumstances that prevent children from remaining in their homes. ICAMA provides the administrative structure by which states adhere to the Consolidated Omnibus Budget Reconciliation Act (COBRA). ICAMA also is the mechanism by which the provision of Medicaid to children with state-funded adoption assistance is facilitated when such children move from state to state. ICPC is statutory uniform law in all 50 states, the District of Columbia and the U.S. Virgin Islands. It is intended to ensure the protection of children who are placed across state lines for foster care and adoption. An LCPA places children in foster homes or adoptive homes or makes independent living arrangements. The Promoting Safe and Stable Families Program (PSSF) is designed to assist children and families resolve crises, connect with necessary and appropriate services, and remain safely together in their own homes whenever possible. Youth services (also known as the Independent Living Program) assists foster care youths ages 14-21 in developing the skills necessary to make the transition from foster care to independent living. 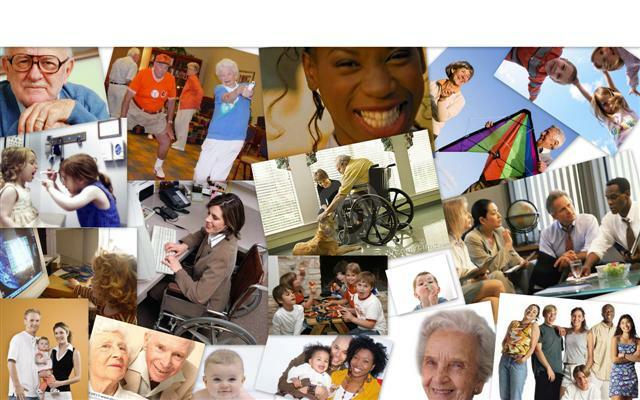 Independent Living services include activities that are based on a written assessment of life skills. Areas of focus include personal development skills such as self-esteem, communication skills, decision-making, conflict resolution and anger management. Examples of independent living skills are career exploration, job skills, money, management, housing, transportation, and legal issues. The Virginia Putative Father Registry is a confidential database. The purpose of the registry is to protect the rights of a putative father who wants to be notified in the event of a proceeding for adoption of, or termination of parental rights for a child he may have fathered.